Just like an octopus’ tentacle, the attachable extended battery can not only attach to your iPhone or iPod, but also feed your device. 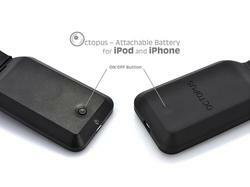 The unique extended battery measures 120 x 50 x 12mm. 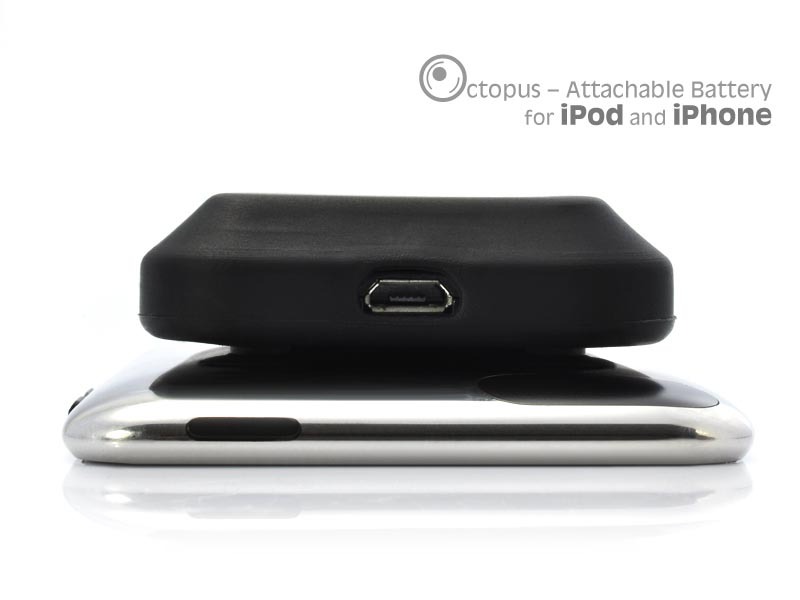 As we can see from the images, 8 suction cups are placed on the surface of the battery pack in order to adhere to the backing of iPhone or iPod. And the built-in 1500mAh rechargeable battery can offer you extra talk time up to 4 hours, Internet use up to 4 hours, video playback up to 5 hours, audio playback up to 18 hours or standby tine up to 240 hours. 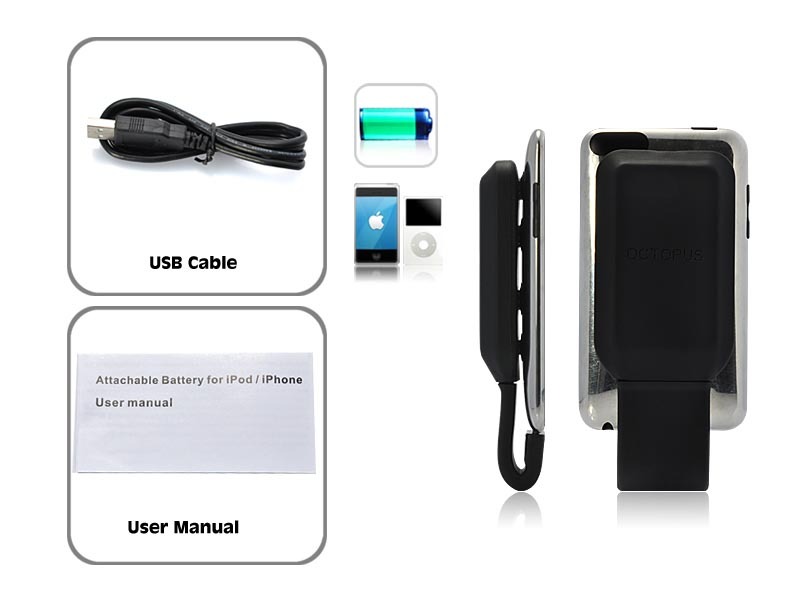 Besides, it also comes a On/ Off switch, LED indicator and a mini USB to USB cable. 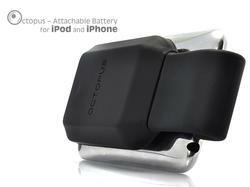 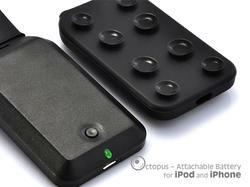 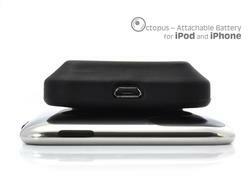 The Octopus attachable extended battery is compatible with iPhone and iPod. 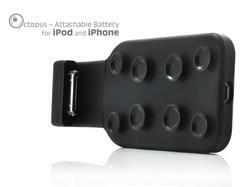 It’s priced at $29.89 USD. 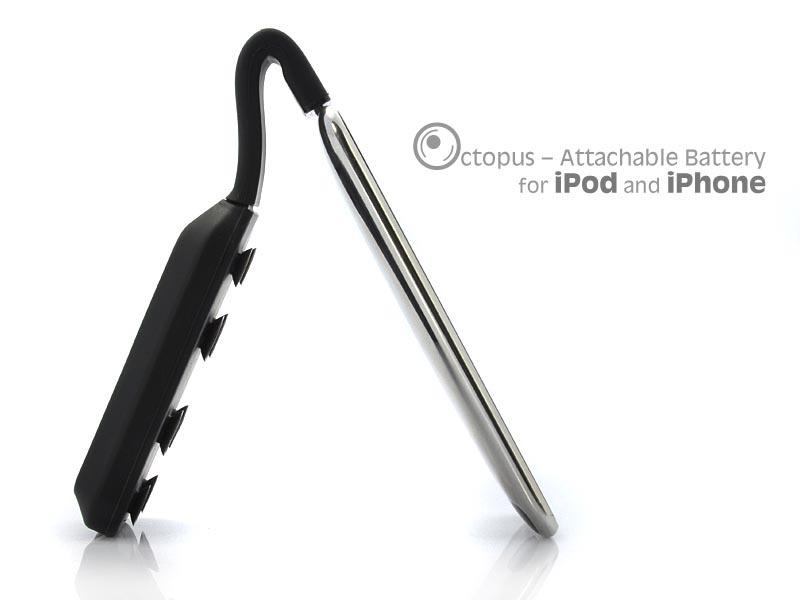 If you’re interested, jump to Chinavasion for more details. 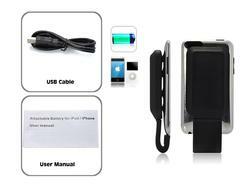 additionally, if you need more alternatives, you might like to check the Griffin TuneJuice battery pack, Primo Power Core battery pack, and more via “battery pack” tag.